A Welcoming, Inclusive Group – we embrace scholars from diverse fields and interdisciplinary research. Our members transverse a wide range of fields and we offer a variety of tracks at our conferences. Numerous Networking Opportunities – Connect with old friends and meet new at our regional conferences and national annual meeting. Well-regarded Journals – Decision Sciences and Decision Sciences Journal of Innovative Education. “Meet the editors” sessions are offered at our annual conferences. 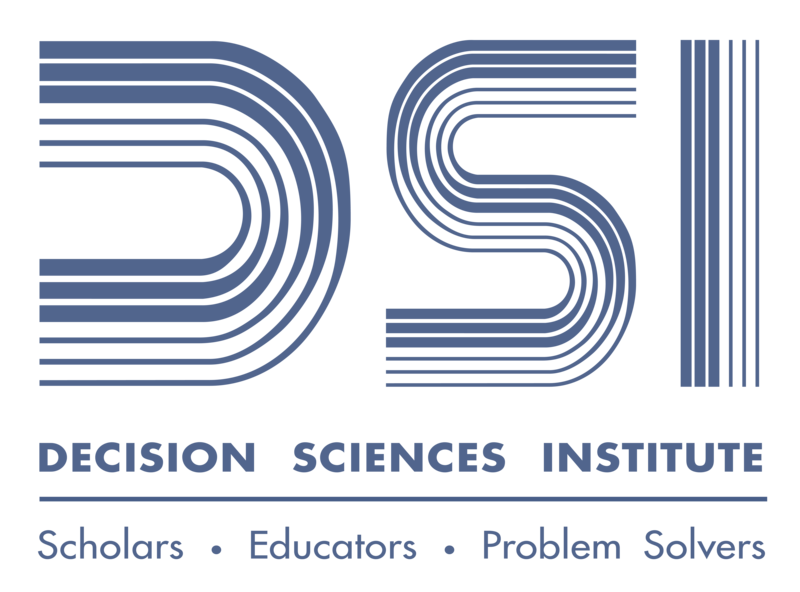 An Active Group of Basic and Applied Researchers – In addition to our journals, DSI hosts conference sessions addressing cutting-edge research and methodological topics. Career Placement and Guidance – Placement services offered online and at national meeting, as well as consortia tailored to different career phases at our annual national meeting. 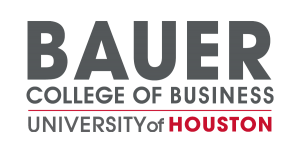 Mentoring for Early- and Mid-Career Faculty – The Annual Meeting provides consortia, professional development opportunities, and informal networking. Active Group of Pedagogical Researchers and Collection of How-To Teaching Briefs – New approaches to teaching decision sciences topics, discussions about assurance of learning, and practical hands-on ideas are shared through Decision Sciences Journal of Innovative Education and our annual conferences. 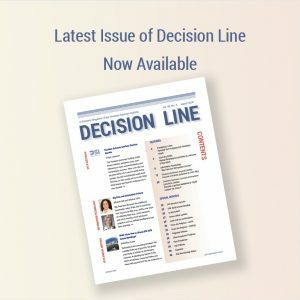 Decision Line News Publication – stay connected with the community via our online news publication circulated 5x per year. Discounted Registration Fees at Regional Conferences – As a value of membership, DSI Members pay lower registration fees at all our regional annual meetings. 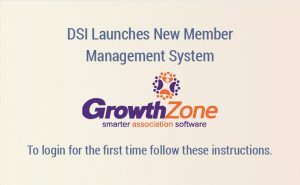 Member-Only Access – Via our DSI Member Portal, Members have unlimited access to resources as well as our member database to find colleagues or others in your field.